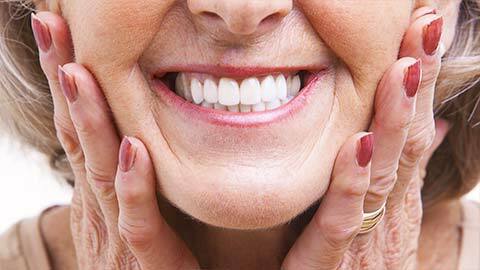 Dentures are a versatile and affordable replacement for multiple lost teeth. Whether you need partial denture to replace a few missing teeth, or a full denture to replace one or both rows of missing teeth, we have options to help you restore the appearance of your smile. Our full dentures are made to stay firmly in place in your mouth through natural suction. We’ll help you choose the shade and appearance that best suits you. Your full dentures will be designed to fit your mouth but will require regular examinations and adjustments to maintain this fit. 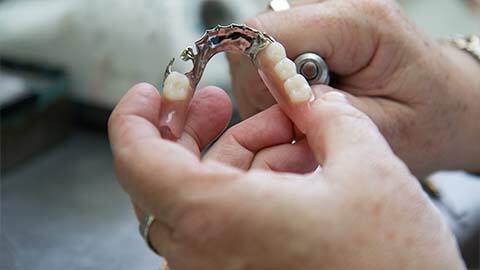 Partial dentures to replace one or more missing teeth are made of material that matches your existing teeth. Partials can be held in place by clips, suction or a combination of both. Cosmetic dentures are made from special materials to look as natural as possible and to minimize shrinking and warping over time. For an even more natural appearance, cosmetic dentures can be mounted on dental implants. This ensures that the dentures will remain firmly in place without moving around while you eat or speak. To learn more about dentures, contact us today.